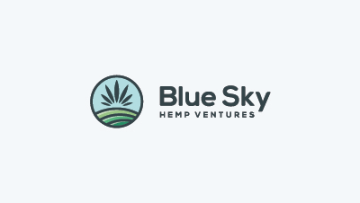 Blue Sky Hemp Blue Sky Hemp Ventures Ltd. is an industrial hemp producer headquartered in Calgary, with operations in Alberta and Saskatchewan. The company recently commissioned the first phase of its food processing facility in Saskatoon with plans to significantly expand capacity in the near future. In parallel, Blue Sky is also executing plans to capture value from the entire plant, including nutraceutical extraction and stalk processing. Blue Sky is looking for an accounting professional to manage, and establish where required, its internal accounting functions and book keeping system. The successful candidate will be an action oriented, dynamic individual, who thrives in an entrepreneurial environment. The role will report directly to the CFO and require frequent interaction with the management team as well as operating personnel. The role will be located in Calgary or Saskatoon and will be 30-40 hours per week. · Proficient in the use of computer programs with a strong knowledge of MS Excel. Blue Sky offers competitive compensation and benefits, including salary and equity exposure, commensurate with experience. We wish to thank all applicants for their interest in applying for this position, however, only candidates selected for interviews will be contacted. Please send your CV and cover letter to mrimell@blueskyhempventures.com.